Kin Canada is a proud national partner of Cystic Fibrosis Canada. Each year Kinsmen and Kinettes host a variety of fundraising and awareness-building activities in support of the battle against cystic fibrosis. Since 1964, Kin members have raised more than $45 million for cystic fibrosis research and patient care. The committed partnership between Kinsmen, Kinettes and Canadians with cystic fibrosis began in 1963 with a conversation between Dr. Douglas Crozier, then director of the Cystic Fibrosis Clinic at The Hospital for Sick Children, and Kinsman Bill Skelly. During this chance meeting, Dr. Crozier spoke to Bill about his young patients with cystic fibrosis. This conversation left Bill interested in joining the fight against cystic fibrosis and he invited Dr. Crozier to speak to the North York Kinsmen Club. Almost immediately, the North York Kinsmen enthusiastically backed the cause. Before long, involvement spread nationwide and in 1987, Kin Canada formally adopted the fight against cystic fibrosis as a National Service Project. Kin Canada and Cystic Fibrosis Canada have shared in many exciting accomplishments, including the discovery of the gene responsible for cystic fibrosis in 1989. This discovery would not have been possible without the tremendous help of Kin across the nation. When Kinsmen and Kinettes first joined the fight against CF in 1964, children with the disease were not expected to live past the age of four. But today, children and young adults with cystic fibrosis are often living into their mid-50s and beyond. 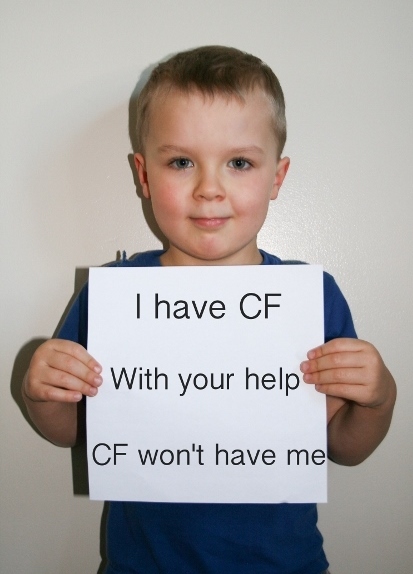 An extra year of life for a CF child has been earned for almost every year of Kin support. Cystic Fibrosis Canada could never have come so far, so fast, without the continued support of Kin. To help Cystic Fibrosis Canada through Kin Canada, contact us. Watch CF Champion Tara share her journey living with cystic fibrosis. Cystic fibrosis is the most common fatal genetic disease that affects Canadian children and young adults. There is no cure. Cystic Fibrosis Canada is a national health charity established in 1960, with volunteers in more than 50 chapters across Canada. Cystic Fibrosis Canada funds research to find a cure for cystic fibrosis, and helps people and families affected by CF cope with their daily fight. Learn more about Cystic Fibrosis Canada.